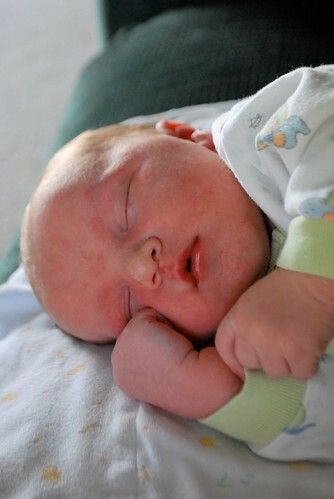 We are blessed beyond measure and very pleased to introduce you to our new son, Mathias Aiken, born Friday, May 28, 2010 at 12:31pm. He weighed 9lb 5oz and measured 21″ long. Mathias (muh-TIE-us, no “th” sound), meaning “Gift from God” is exactly that…a precious little gift. His namesake is found in Acts 1:21-26 where Matthias, who had been faithfully with Jesus since the beginning of his ministry, was the apostle chosen by prayer and lots to replace Judas. Also, Becky’s Grandma, Vendla Jeane Aiken Edighoffer passed away in February of 2008 (shortly after Si was born) and so we give Mathias her maiden name to honor her memory. 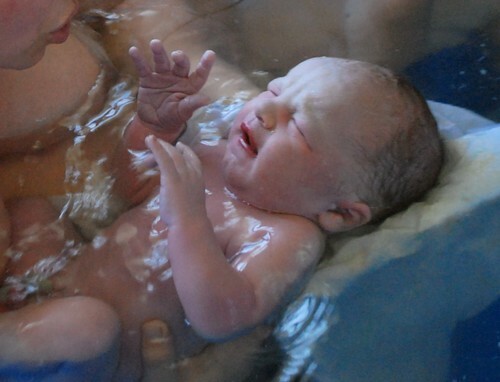 Baby Thys (ice with a “t”) was born at home in a planned water birth. He came quickly (7 1/2 hour labor), but not quite as quickly as his brother Si, since the midwives and other attendants all made it to the birth this time! 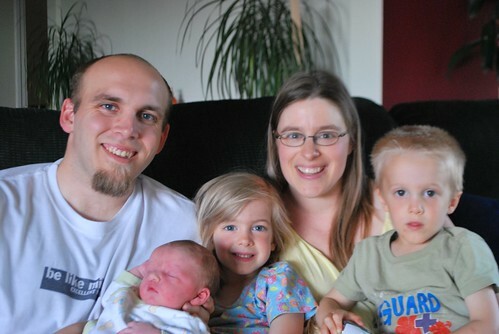 Midwives, Amanda, and Patrice both attended the birth and were blessed to welcome little Thys with us. Alia and Josiah also witnessed Thys’ birth and both are overjoyed and enthralled with their new brother. Alia had hoped for a girl baby for a long time but has discovered that a baby boy is just as fun! My Alia girl is growing up every day and was so mature and helpful during the labor, birth and immediately after the birth. What a good mommy she will be some day! We pray that the love in our hearts reaches yours and allows us to share our joy with you! Nope, sorry, no baby yet, but we do have a game to pass the time! For those of you NOT on Facebook….we want to share a link with you. We set up a guessing game for when the baby will arrive and what the stats will be. So click here and then place your best guess! The game name is Kortman5. How fun to be the winner!